The nominal voltage in the network is 220 Volts, but not always it corresponds to this value. The voltage may be completely absent, to be low or too high. In addition, the voltage in the network can become unstable, for example, if someone incorrectly uses a welding machine. As unconventional (especially high) voltage potential to adversely affect the operation of electrical equipment in case of failures in power supply, before switching on electrical appliances it is recommended to measure the voltage in the network. Before measuring the voltage in the network , insert the black wire with the test lead into the socket labeled COM on the multimeter, then plug the red wire into the socket labeled VΩmA. Turn the unit on by turning the switch and putting it in the on position measure the voltage. 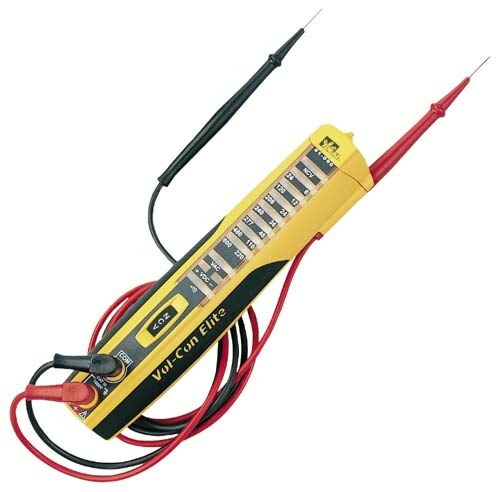 Please note: the multimeter has two modes of stress measurements: mode of measurement of DC voltage and AC voltage. 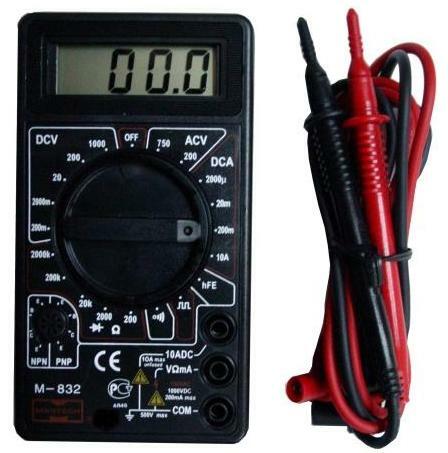 Turn on the multimeter mode measure AC voltage, measure the AC voltage indicated by symbols ACV. Select the radio button next to the digits 750, which is in this sector. This number indicates the limit of the measured DMM voltage for a given switch position. The display device should display the three digits "zero" and the button "HV" indicating that enabled the measurement of high voltages. If this icon does not appear, check how you installed the switch and set correctly. To measure the voltage, take the leads the one to the right and another in left hand. The probes should take the above restrictive rings located on the probe. Do not take the probes in one hand. Insert the probes into the socket and the readings on the display, determine the voltage. Readings can vary in the range of 3 to 4 units, that's fine. Significant voltage variations can be caused by repetitive stress in the network. Check to see if your neighbor with any powerful tool, not does it electrowelding works on the site. Otherwise call an electrician to check the reliability of contacts and connection terminals in your house or apartment. Do not attempt to determine cause of voltage instability in your home. Remember: Amateur made changes in the wiring can cause an accident or fire. The power supply can be considered as electromotive force (EMF) of the current source or the voltage drop on this particular consumer. This value can be measured with a special device or can be calculated if we know the other parameters. When the network alternating current, but distinguish between effective and peak value of voltage. - the grid and the consumer. To determine the EMF at the power source, connect the tester to its terminals. On the display appears the value of the voltage. When setting up the device first, set it on the highest voltage, then gradually increase the sensitivity to the device is not out of order. When measuring DC current, make sure to set this setting on the device and observe the correct polarity connection. When measuring voltage in AC, polarity does not matter. When measuring the EMF of the AC source, keep in mind that the tool displays effective voltage value, which performs work by transferring a charge. The amplitude of the voltage find by multiplying the measured value by the square root of 2. For example, if the tester showed in the home network 220 In, it is the effective value of the voltage. Then the amplitude value will be 220*√2≈311 V.
When measuring voltage on any consumer tester is in the measurement mode, this value connect to its terminals. Then connect the consumer to the network. For DC polarity, and amplitude effective value of the AC voltage count by the procedure described above. If you can not measure the voltage directly, calculate it. Measure the current in the network, and the total load resistance connected to the current source. Find the voltage U by multiplying the value of current in amperes I electric resistance R (U=I*R). For example, if the current network is 2 A, and the total resistance of 140 Ohms, the voltage in it will be equal to U=2*140=280 V.
To find the EMF current source, amperage, find out in addition to resistance part of the circuit the internal resistance of the current source, r. Then, to determine the EMF of the current source in the network, find the sum of the resistances and multiply it to the current EMF= I*(R+ r). For example, if in the same example, the internal resistance of the current source 20 Ohms, EMF=2*(140+20)=320 V.